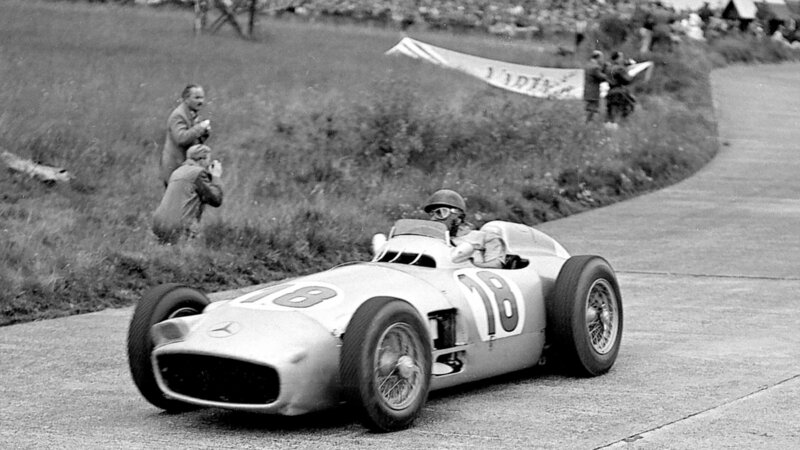 Mercedes has been leaving a prominent footprint over motorsport since the early days of racing. With much careful deliberation, we have compiled a list of the 8 most important Mercedes badged racers ever. 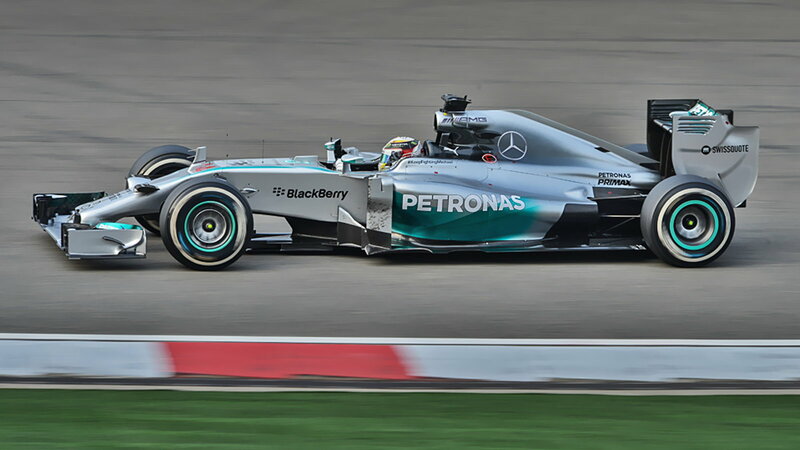 The Mercedes-AMG Petronas Formula One Team has been the dominant force in F1 in recent years. But Mercedes' involvement in the sport dates back the very inception of it. In 2016, Nico Rosberg and Lewis Hamilton put forth one of the most dominant seasons by any constructor in recent memory, while also producing one of the most dramatic rivalries in F1 history-- one that led to a nerve-racking battle in the very last race. 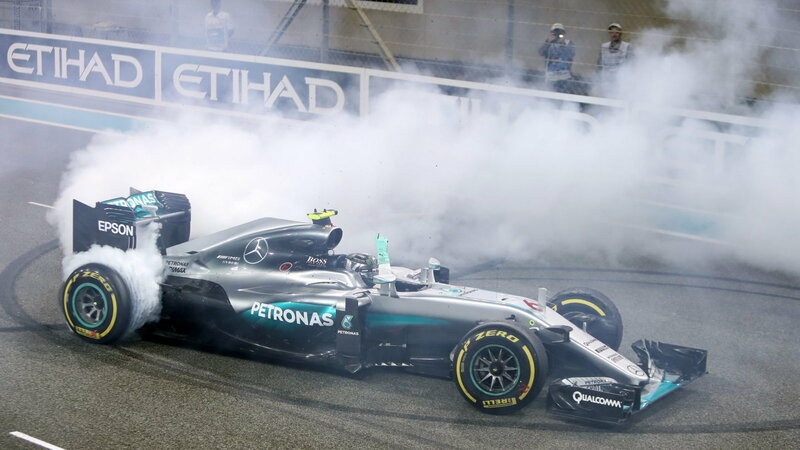 Through controversy, trials, and tribulation over the course of the year, Nico Rosberg managed to win his first drivers' world title that year and went on to retire from racing a few days later. The real champion in 2016 was the W07 Silver Arrow. >>Join the conversation about the most significant Mercedes race cars right here in MBWorld. In the early 1950's, Mercedes not only dominated multiple categories of racing, but the German manufacturer also created the incredible masterpiece of machinery that would go on to be recognized as the original "supercar". 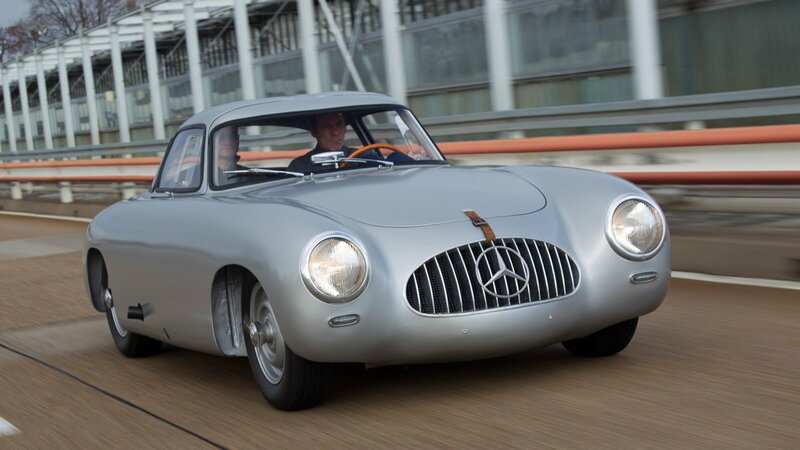 The 300SL racecar of 1952 would evolve into the road going legendary Gullwing model we all know today. This car was a pioneer in many areas of engineering and is considered an important milestone in racing. Having been completely away from motorsport for three decades, Mercedes decided to make a comeback to endurance racing, teaming with Sauber. Though the partnership did not produce immediate results, in '87 the team introduced the C9, which would go on to win several races in the seasons to follow. In 1989, the C9 was the dominant force, as Sauber-Mercedes won the world championship, and finished 1st and 2nd at the 24 hours of Le Mans. Although the MP4-22 is not a Mercedes F1 car, the powerplant was manufactured by AMG's HPP (High-Performance Powertrains) as a part of the McLaren-Mercedes partnership. Though McLaren was excluded from the constructors' world championship due to involvement in a scandal, they had their best season in a long time with the help of the Mercedes engine. 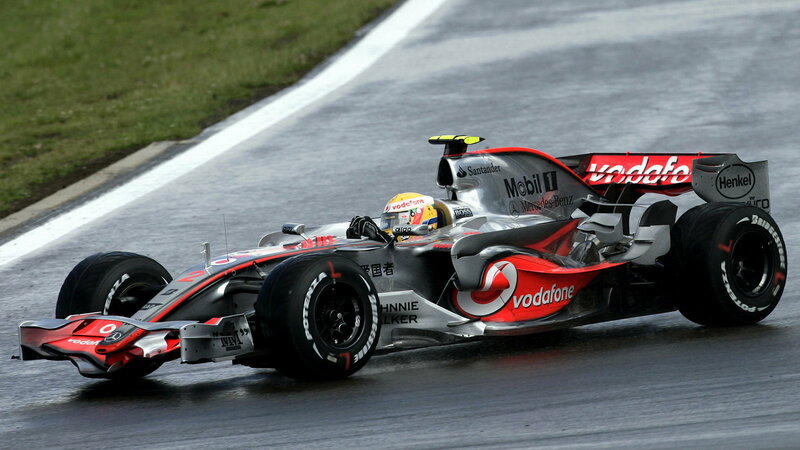 2007 was also the year the fans of Formula 1 were introduced to the unbelievable talent of Lewis Hamilton and had it not been for some seriously tough luck, the Brit would have won his first world championship in his debut season. 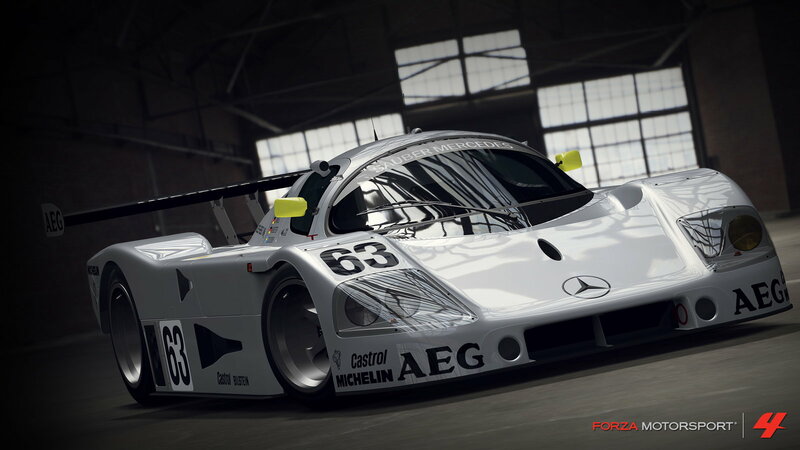 The CLK GTR is another example of a successful return to motorsport for Mercedes, and once more, in dominant fashion. 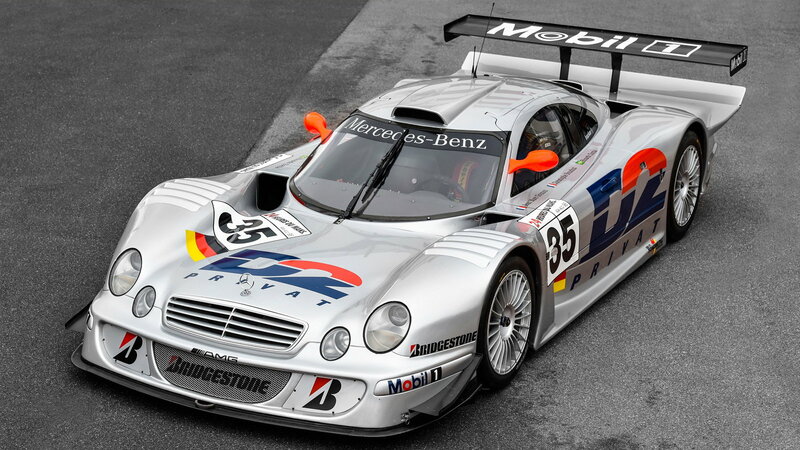 In 1997, the CLK GTR entered the FIA GT Championship and won the drivers' and constructors' championships two years in a row. A super cool street-legal version of the car was introduced, only 25 of which were built. In 2014, Formula 1 significantly shook things up by switching to a turbo/hybrid power unit requirements for the team. Red Bull Racing and Sebastian Vettel had dominated the four years leading up to the regulation change, but Mercedes' hard work in development paid off when the sport made the switch. 2014 was the Mercedes-Benz's fifth year of participation in F1 as a constructor since their return, and of course, the W05 was their very first hybrid. This was the start of a paradigm shift. Lewis Hamilton and Nico Rosberg drove the Silver Arrows to 16 victories out of 19, leading the team to the first of 4 (so far) consecutive drivers' and constructors' championship. 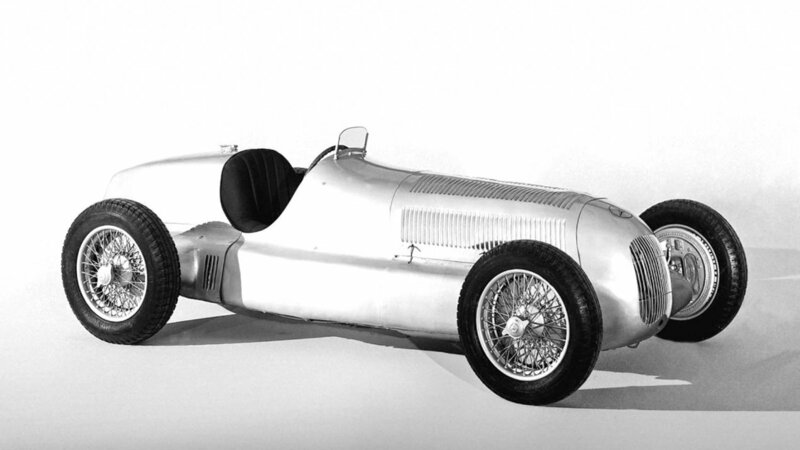 Raced by 2 of the most legendary racer car drivers in history-- Juan Manuel Fangio and Sir Stirling Moss, the W196 was Mercedes' introduction to the newly formed FIA Formula One. The team absolutely disposed of all competition with undeniable performances in the F1 world championship, winning the drivers' crown in 1954 and then again in 1955. Unfortunately, following a horrific accident at LeMans in '55, Mercedes withdrew from all factory racing competition, bringing the reign of the W196 to an end. The powerful presence of these pioneering F1 cars is the backbone of Mercedes racing heritage.